Sure, brushing your pet’s hair and cleaning his teeth regularly will help him look his best, but it’s also important for his health. Here, a guide to help you get started. A good brushing and teeth cleaning can do your pet a world of good! Grooming provides you a chance to go over your pet’s coat with a fine-tooth comb—or brush—to help you keep track of subtle changes in your pet’s skin. What’s more, regular nail clippings and teeth cleanings can prevent a number of unpleasant health problems. Using the proper tools will make the grooming process much easier and more enjoyable for both you and your pet. So before you get started, make sure you have the right brushes, combs, and clippers for the job. Ask your veterinarian which tools he recommends for your pet. Spending a few minutes taking care of your pet’s hair is good for your relationship and will help remove dirt and dead hair from his coat, preventing mats and tangles. Your veterinarian can tell you how often you need to brush, based on the length and thickness of your pet’s coat, as well as your pet’s species and breed. If you find a tangle or mat in your pet’s fur, don’t try to pull it out. The reason: Doing so is painful for you pet and he will quickly learn to avoid the brush at all costs. Nor do you want to cut matted hair out, as you could injure yourself or your pet. Instead, head to a pet retailer and pick up a special brush or comb designed to split or remove mats. If you don’t think you can succesfully solve the problem yourself, consult with your veterinarian or a reliable groomer, who should be able to take care of it for you. Depending on your pet’s species and the type of hair he has, regular baths may be a good idea. While letting your pet soak in the tub can help keep his skin healthy and remove excess oils and odor-causing dirt, it may be overly stressful for some pets, so talk to your veterinarian before you try. 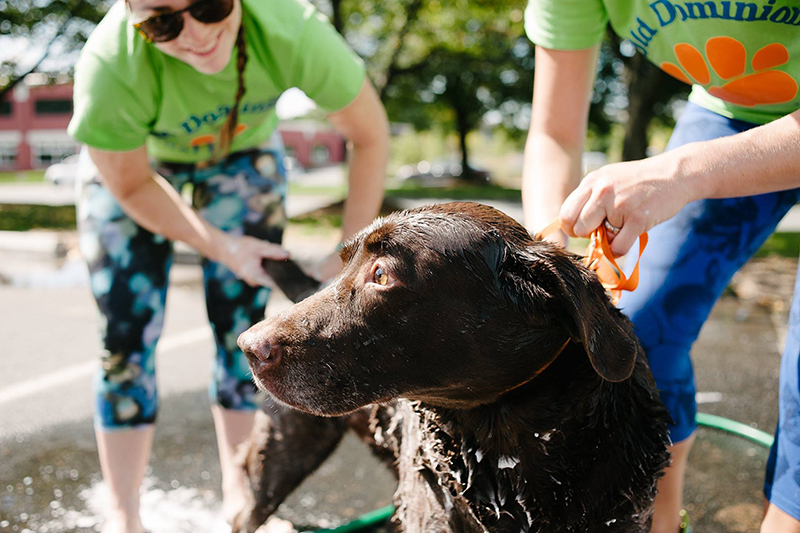 Your veterinarian can recommend a specific shampoo, or he may suggest simply bathing your pet with water. He can also help you create a bathing schedule that’s appropriate for your pet’s skin and coat. Keeping your pet’s nails at the appropriate length helps avoid overgrown nails and other painful conditions, and can help prevent accidental injury to you, your pet, or your furniture. Plus, trimming your pet’s nails gives you an opportunity to inspect his feet for problems like swelling, cracked pads, or matted fur. Ask your veterinarian how to trim your pet’s nails safely. Some pets, particularly large dogs, may benefit from a regular ear cleaning. Talk to your veterinarian if you think your pet may need to have his ears cleaned. Regular tooth brushing is recommended for dogs, cats, and some other pets to prevent periodontal disease, which is now being recognized as a widespread health problem for animals. Experts agree that it’s best to start brushing your pet’s teeth at a young age to get him accustomed to the process. Consult your veterinarian about how to introduce your pet to his new toothbrush, and make sure you’re using a toothpaste that’s safe for your pet. It’s also smart to let your veterinarian know if your pet has bad breath, as this is often a sign that your pet may have dental problems. Some pets with continuously growing teeth, such as rabbits, may need to have their teeth clipped by a veterinarian. Some dog breeds need their coat clipped back regularly. You may want to seek out a groomer in order to ensure that your pet’s coat is safely and properly clipped.